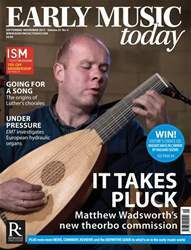 I regret to inform you that Early Music Today magazine has ceased publishing. 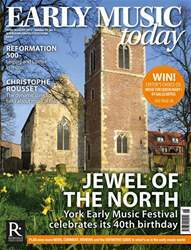 From January 2018, early music content will be incorporated into our sister title Classical Music which will feature a brand new early music section in each monthly issue, along with a full issue dedicated to early music each autumn. 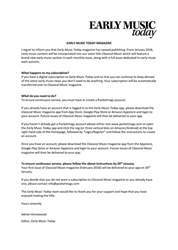 To ensure continuous service, please follow the above instructions by 29th January. 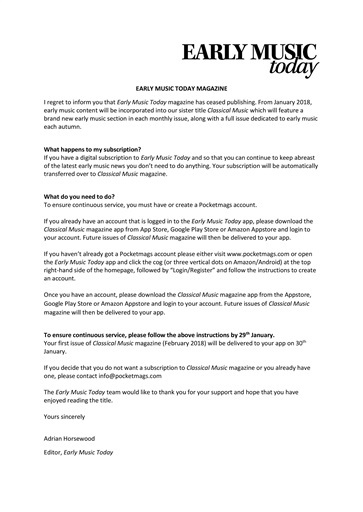 Your first issue of Classical Music magazine (February 2018) will be delivered to your app on 30th January. 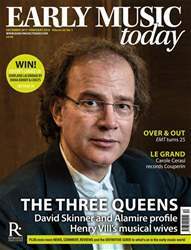 The Early Music Today team would like to thank you for your support and hope that you have enjoyed reading the title.